I have always been drawn to the OSNC logo, which as I’m sure you know ,stands for Oceanic Steam Navigation Company, i.e. the formal name of the White Star Line. (Cunard’s was the British and North American Mail Steam Packet Company.) Interestingly, White Star seems to have stopped using this logo when Majestic and Teutonic entered service, and they brought this logo back into use with Olympic and Titanic. 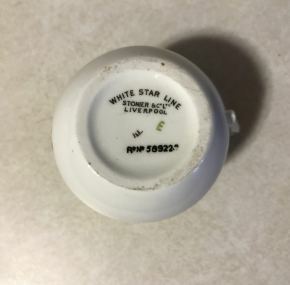 White Star produced a tremendous variety of china in the 60 or so years they were in business. From the well-known and popular turquoise-and-brown pattern to much rarer but no less beautiful patterns. 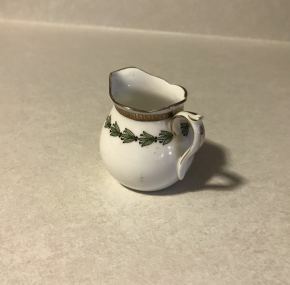 This creamer is one such rarity. 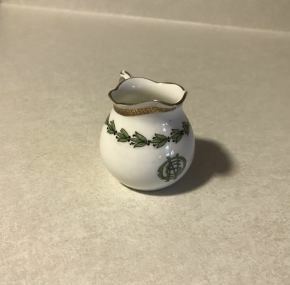 I have only seen a few items in this pattern in over 25 years of collecting White Star Line china. This particular creamer has been a cherished part of a private collection in Europe for much longer than 25 years. 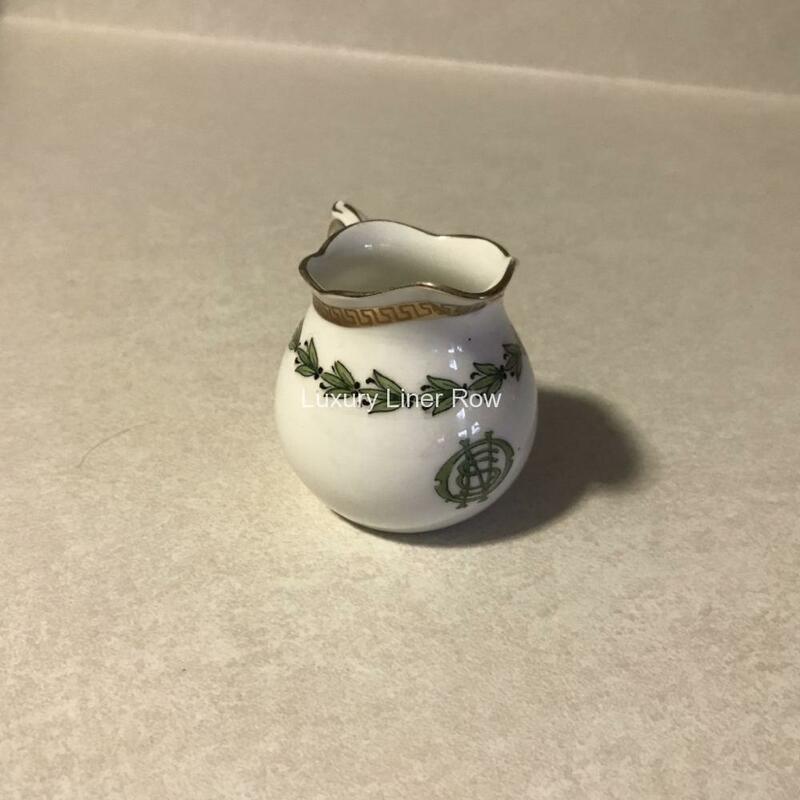 Very few of you will have an example of this luxurious china in your collection. Used in first class, it is incredibly well-made bone china with a gold encrusted band around the rim. I’ve said it before, but this bares saying again, this is so choice, I would love to keep it for myself! This pattern is even rarer than the VIP cobalt pattern that has been recovered from Titanic.